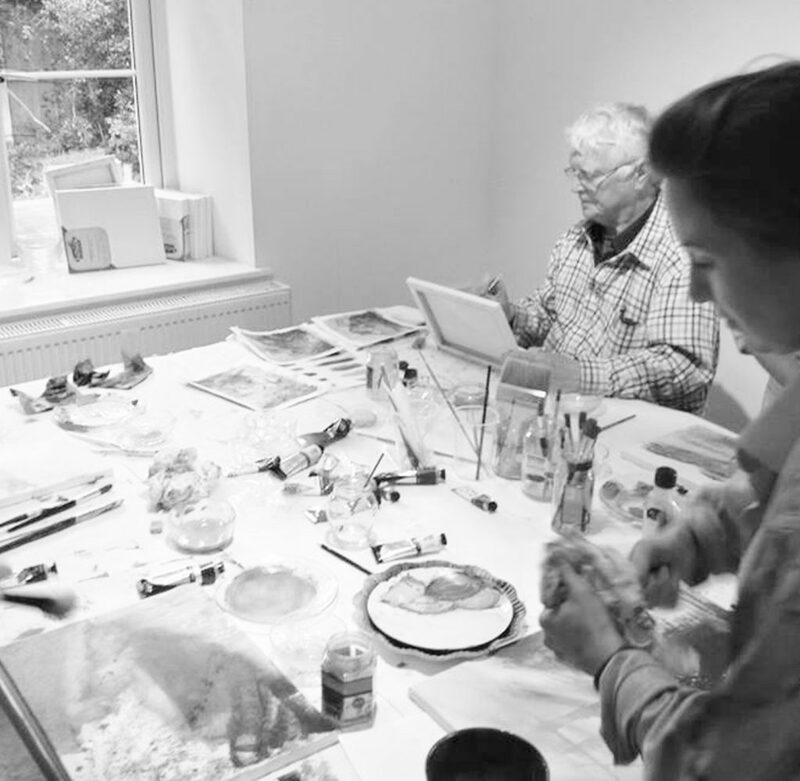 During this one day course you will work with artist Amy Albright and learn how to use oil paint in a fresh, fluid and unique way. 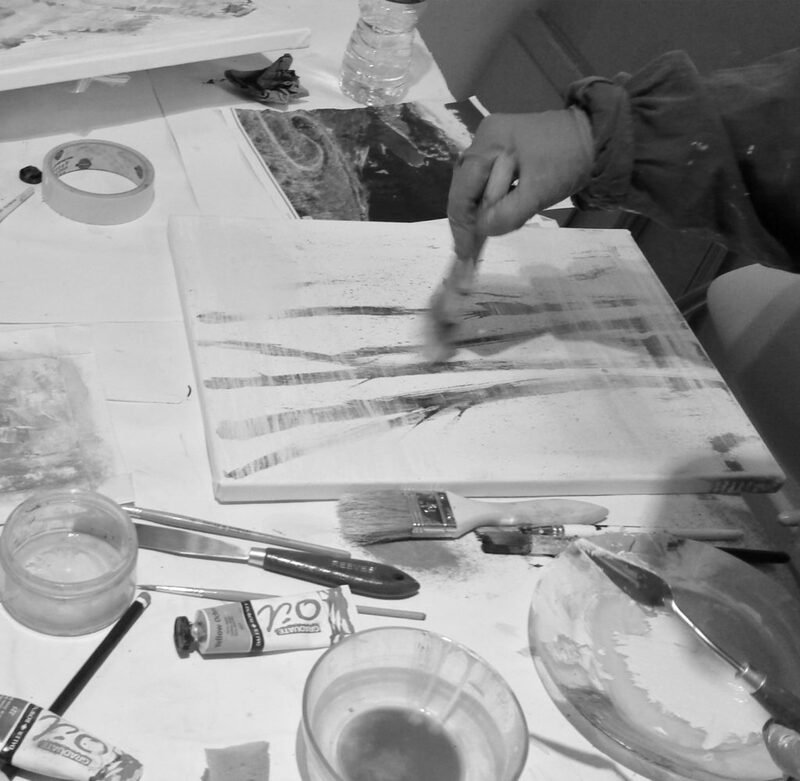 You will be encouraged to use experimental mark making that reveal and respond to marks and traces made previously, as you build up your own layered canvas using acrylic paint initially followed by oil paint. 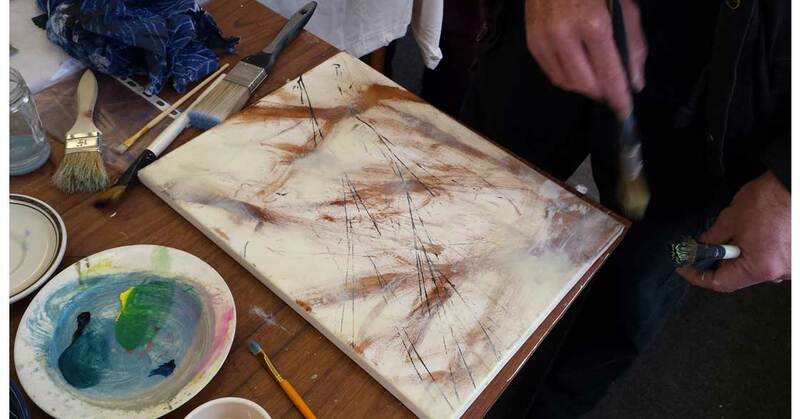 You will learn new techniques, such as how to use layered glazes using a range of tools to create subtle and refined marks. 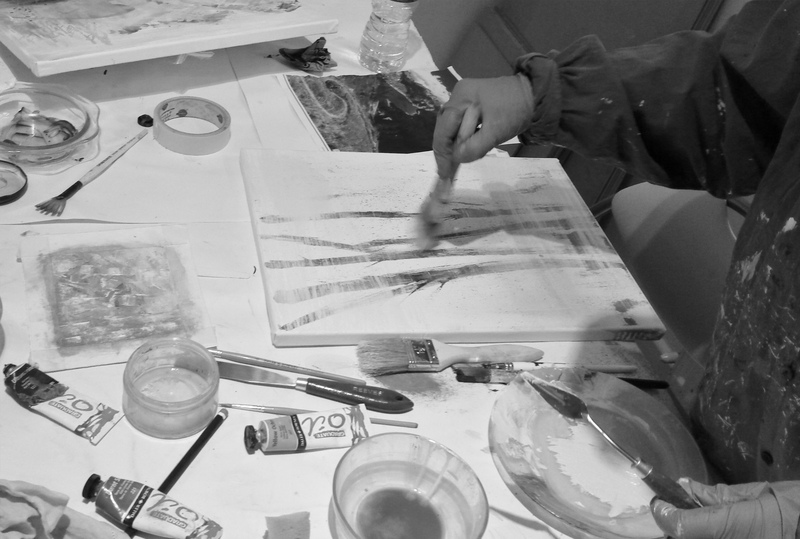 Along the way, you will also create many smaller works on paper. 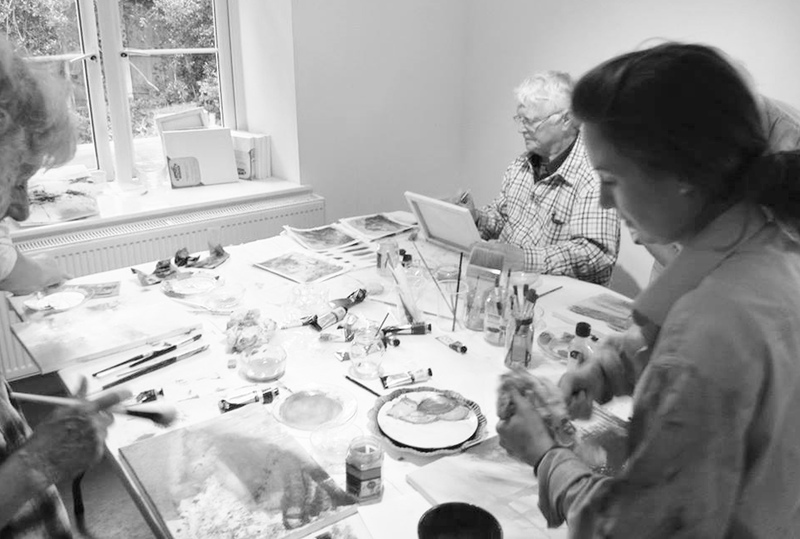 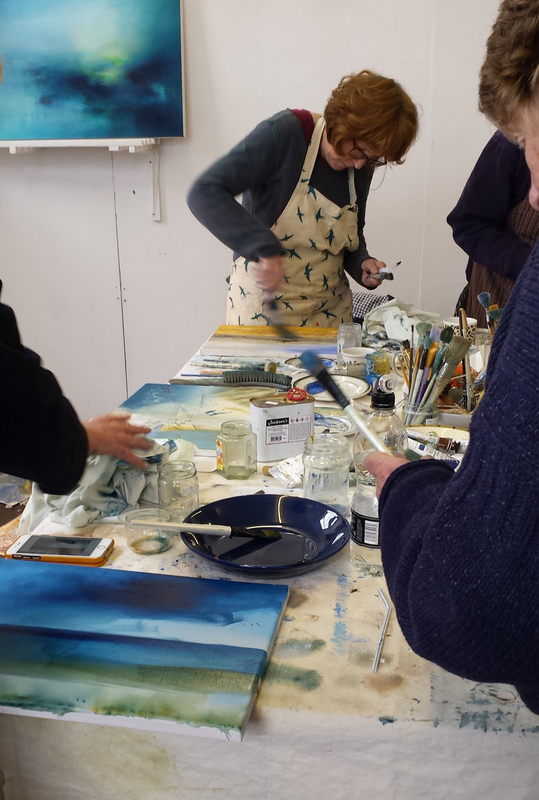 Amy will demonstrate exciting dynamic painting techniques such as imprinting with rags, dripping paint, glazing and delicate detail marks to help you create your own layered painting. 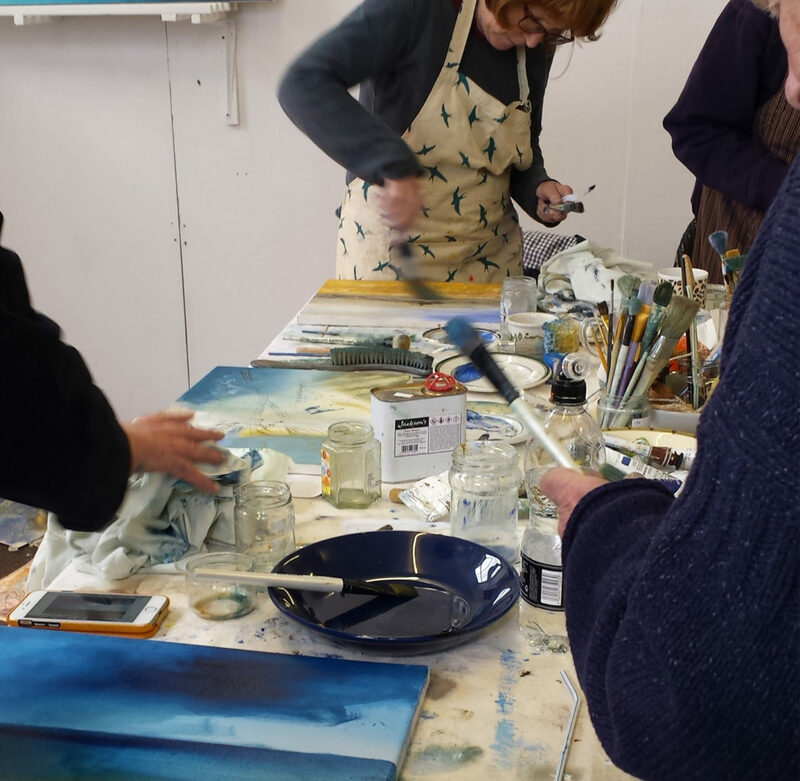 You will be working in a small group in a relaxed informal setting with demonstrations and practical help throughout, suitable for beginners and those with some experience, a great opportunity to build confidence, using oils and improve your painting skills.